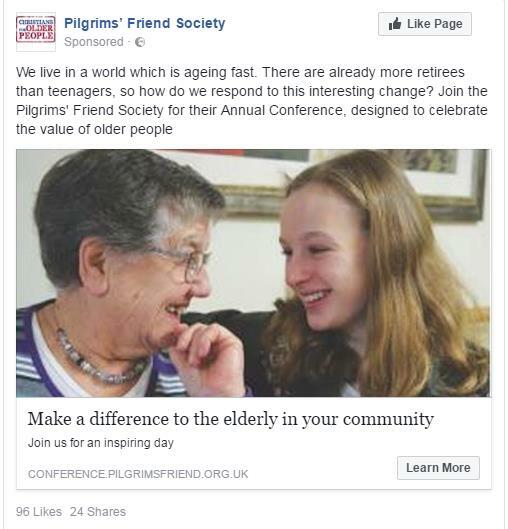 Pilgrims' Friend Society (PFS) has been enabling older people to flourish for more than 200 years. The Society started off by providing pensions and support through volunteer visits, then developed housing and care schemes for older Christians. It now also uses its experience to inspire and equip churches, and others, who work in the community with older people. Yeomans have been pleased to work with PFS for several years; being involved in its brand development in 2014 and responsible for the ongoing design, print and fulfilment of various literature, news and campaign materials. PFS runs regular regional conferences and an annual, national thanksgiving event which it wished to grow and develop. 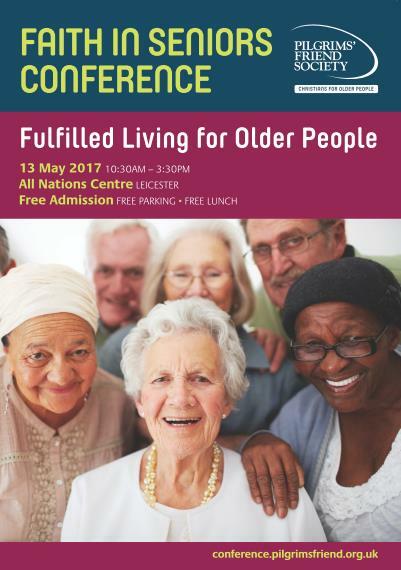 We were therefore delighted when approached to organise and manage its annual conference for 2017. 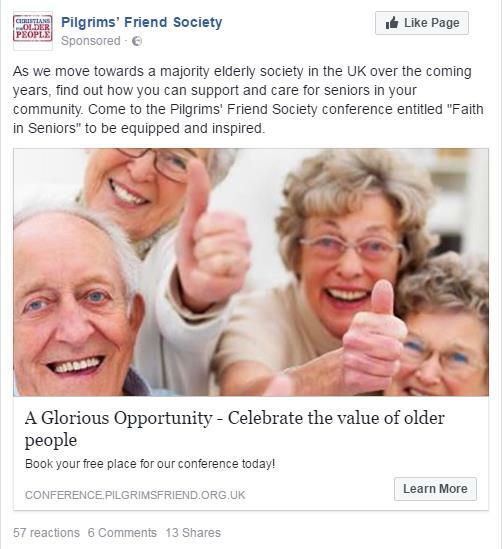 Working closely with senior members of the PFS team, we arranged, promoted and hosted the newly titled "Faith in Seniors" one day conference in May 2017. Promoted through various means including communication with existing contacts, advertising on relevant websites and a targeted Facebook advertising campaign, we delivered an event for nearly 400 delegates. Bookings were taken through a bespoke web system designed for ease of navigation and booking. Our team was involved in all aspects of the event on the day itself; this included managing the venue, room setup and logistics, audio-visual management and speaker briefings. 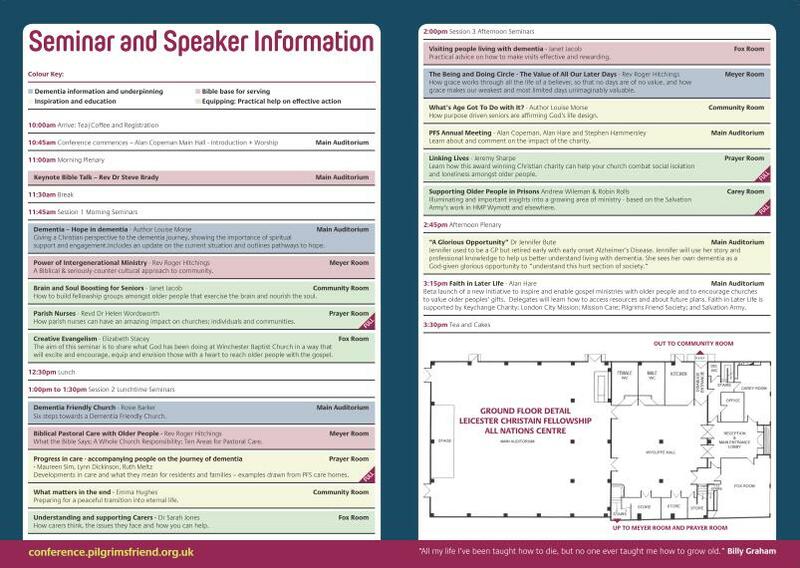 We were pleased to work with members of the PFS team to ensure that delegates were efficiently registered, welcomed and directed to locations for seminars etc. and we remained on hand throughout the day to serve the delegates, ensuring that they had an enjoyable experience and the conference was the success it aimed to be.